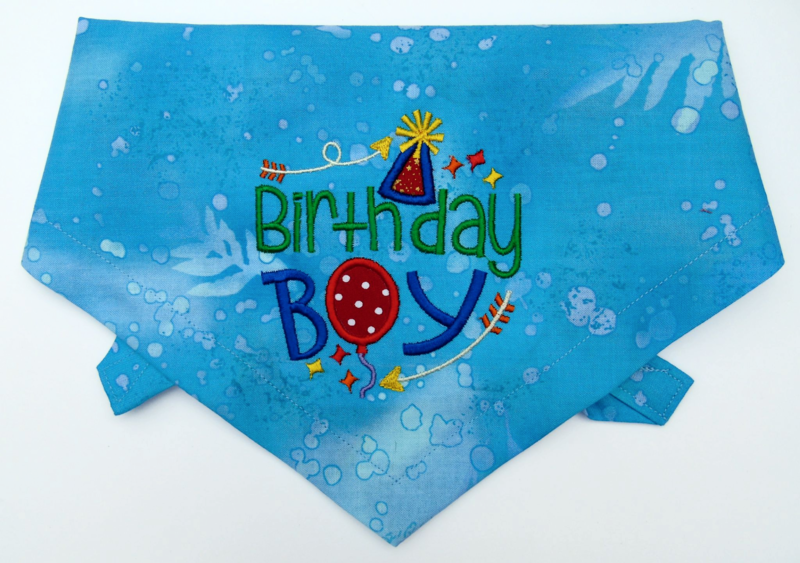 A beautiful Birthday Boy dog bandana, embroidered here in Yorkshire by Dudiedog Bandanas. This bandana is made from premium, high quality designer cotton. It's a lovely shade of light blue, with a subtle and abstract ferny pattern. The embroidery area is the same whatever the bandana size, so this isn't suitable for Teeny Tiny bandanas.